Benelli has also got in on the act today at Cologne for the 2007 Intermot bike show dragging the covers from three new concept bikes, all falling into different motorcycling categories. Firstly is the Benelli Due, a V-twin 756 naked sport bike. 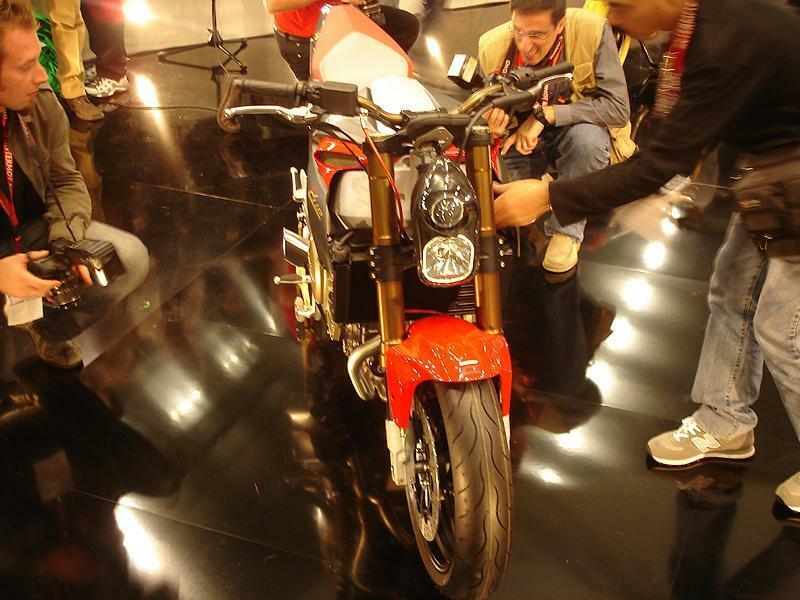 MCN brought you clay model images of this bike so check out the finished article on the right. click here for product reviews The firm is also known for producing a range of scooters, and unveiled a concept small capacity machine in the shape of the 49X. But Benelli has also ventured further from previous bikes, delving into the crosser market with the sharp looking BX motocross machine. The 449cc crosser certainly looks the part mixing traditional MX styling with the livery of the current Tornado and housing an impressive double exhaust system under the seat. To see more of all three of these bikes check our footage taken from the show.